ATP Science's T432 Plus is a unique fat loss support and thyroid support supplement like no other in the industry. 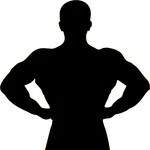 If you’ve found previous fat burners did little in the way of producing results, then it’s time to bring on T432 Plus. Combining a host of strong botanicals; each capsule is packed with ingredients that aim to support and boost thyroid function; which is vital to maintain a healthy metabolism. A crucial gland in the neck region, the thyroid helps to secrete hormones and regulates growth and development by controlling the rate of metabolism. A sluggish or underactive thyroid can slow down your metabolism and make you more prone to weight and fat gain. Rate this supplement. Does what it is supposed to do. Controls cortisol. Would use again & recommend. Not a bad fat burner, but probably not as strong as some of the others I've tried. Super convenient though and definitely gave me some extra energy throughout the day. ATP Science T432 Plus is best taken in the morning after food.